Free weight training is smart. You perform natural and functional excercises, while building strength and practicing balance simultaneously. 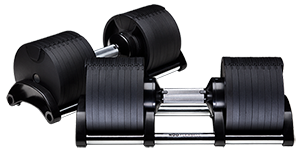 Dumbbells, however, have been plain stupid to use in a home environment. 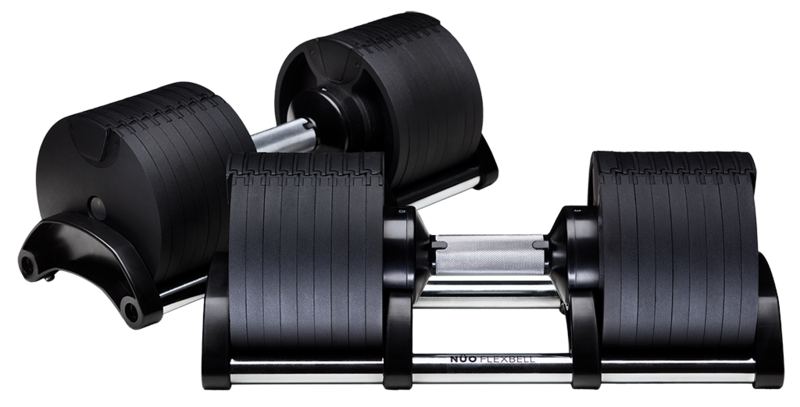 Either you build a wall of 20 fixed weights, or buy a pair of complicated adjustable dumbbells that consume time and mental energy while shifting weights. Enter NÜO FLEXBELL. 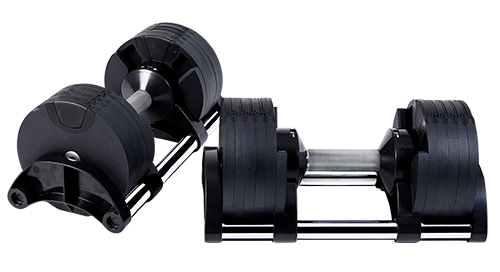 A patented adjustable dumbbell that allows you to select the weights you want simply by turning the handle. Twist, Peel, Feel. All in one second. 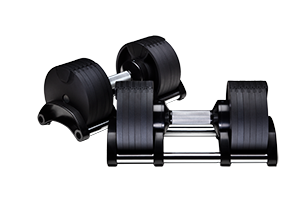 Support for the Flexbell 2-20kg and 2-32kg dumbbell systems. 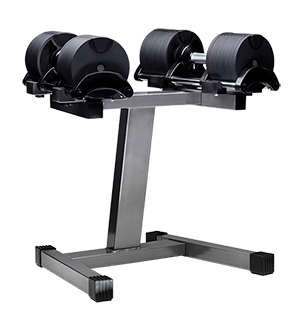 The floor stand will hold the dumbbells in place in a convenient height for the user. Soft rubber feets will keep your floor without marks. Made of steel, powder coated in light grey or black.